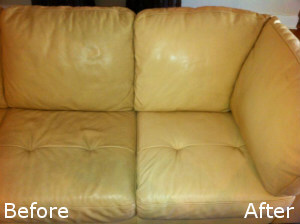 If your leather sofas have become darker, stained or dirty you can use our professional services to restore them. Our company offers excellent leather cleaning in and near Canary Wharf E14 which has great effect and ensures the overall longevity of the sofas. We provide free inspection and preparation of quotes which ensures effective sanitising of all kinds of unfinished and finished, natural and faux leather. Our staff are trained to implement dry and foam cleaning with the help of effective detergents and solutions. Contact us to book the leather cleaning which you need and the restoring of the real colours of your sofas. Our services are implemented by skilled and professionally trained cleaners who know how to restore very dirty and stained sofas. They check the fabric and choose the necessary tools and materials for sanitising. Our employees apply foam detergent using brushes and clean cloths on all types of finished leather. 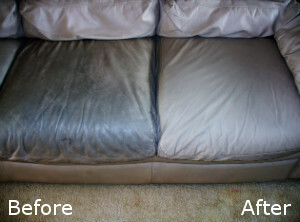 They can use protecting agent for leather sofas against stains and dirt if the customer requires it. We provide dry cleaning on unfinished leather types. After cleaning the sofas, our staff polish and deodorise them. Call us to schedule the leather cleaning which you need in Canary Wharf E14 or nearby for your home, rented or business property. Our employees follow the manufacturer’s recommendations when cleaning leather fabrics. They are very fragile and can be easily damaged when sanitised by non-professionals. Contact us whenever you need professional leather cleaning for your sofas in your home or other estate, located in E14 and we won’t disappoint you. Our employees can remove stains, restore the colours of faded sofas and sanitise the leather fabric effectively for a couple of hours. In the end, they apply deodorisers to refresh the cleaned sofas and make them ready to be used.